Product prices and availability are accurate as of 2019-04-18 10:42:07 UTC and are subject to change. Any price and availability information displayed on http://www.amazon.co.uk/ at the time of purchase will apply to the purchase of this product. The Single Malt Whiskey Store are happy to stock the fantastic Rock Oyster Blended Malt Scotch Whisky 5cl Miniature. With so many on offer today, it is great to have a brand you can recognise. The Rock Oyster Blended Malt Scotch Whisky 5cl Miniature is certainly that and will be a great acquisition. 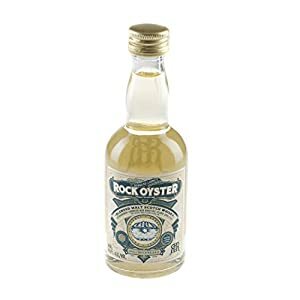 For this price, the Rock Oyster Blended Malt Scotch Whisky 5cl Miniature comes widely respected and is always a popular choice amongst lots of people. Douglas Laing have included some excellent touches and this results in good value for money. Rock Oyster Blended Malt whisky is produced from the finest maritime malts including those from the Isles of Jura, Islay, Orkney and Arran. No colour is added during production and chill filtration has not been used. 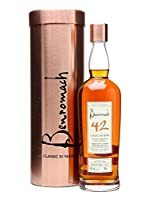 The blend is a soft yellow colour with a smokey sweet scent that is fresh and sharp on the nose. The flavour can be considered to be sweet, almost liquorice like with a hint of pepper, both of which are carried through to the finish.